OnePlus has released the OnePlus 6 earlier this month which is company’s latest flagship device. 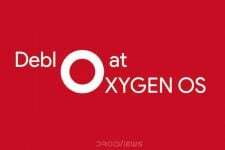 Prior to the OnePlus 6, OnePlus 5T was company’s flagship device launched in November last year. 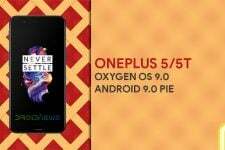 Last year, OnePlus also launched the OnePlus 5 as their first flagship smartphone of 2017. Talking about OnePlus 5/5T, the devices have just received a new OxygenOS update. This update comes with OxygenOS version 5.1.2 for the devices. It is worth mentioning that OnePlus 5/5T have already received the Android 8.1 Oreo update earlier. Now, the latest OxygenOS update to these devices brings the latest security patch update. This news comes while the OnePlus 3/3T have received a new update which includes Face Unlock and May security patch. Talking about the update, OnePlus has announced that they are rolling out the Full ROM as an OTA. This means that the update is very big in size which we have mentioned below. Now, this implies that OnePlus is planning something big for the OnePlus 5/5T. Also, this goes in line with OnePlus’s statement during the Android P Beta release for OnePlus 6. Back then, OnePlus said that they have something exciting for OnePlus 5/5T users coming soon. This could well mean that the Android P Beta is releasing soon for the OnePlus 5/5T or something else. What this actually means is not known yet so we have to keep guessing till then. In the meantime, read the entire changelog of the update below. The changelog of the latest OxygenOS 5.1.2 update has been attached above. 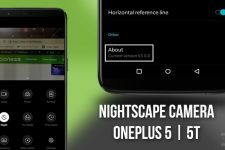 Looking at the changelog, there is not much that has been added to the OnePlus 5/5T with this update. However, the company has sent the Full ROM as an OTA which is about 1.6 GB in size. Another feature added to the OnePlus Gallery is Recently Deleted section. This section shows you the photos that you have deleted recently from your smartphone. It is sort of a recycle bin for Android which stores deleted images for 30 days. To see the Recently Deleted section, go to OnePlus Gallery’s Categories section and scroll to the end. Other than this, there are bug fixes for microphone issue on AKG earphones. Also, the WiFi connectivity issues for some users have now been fixed as well. Therefore, if you were facing any of these issues then you must update as soon as possible. In order to update to the latest version, we have attached the full guide below. Also, you should have your smartphone charged to at least 50% battery or more. This is to ensure that you have a safe level of charge to continue the installation process. It is also mandatory to take a full backup of your OnePlus 5/5T. This is done to ensure that you do not lose important data if anything goes wrong. You should follow all the steps mentioned in the Prerequisites section first and foremost. 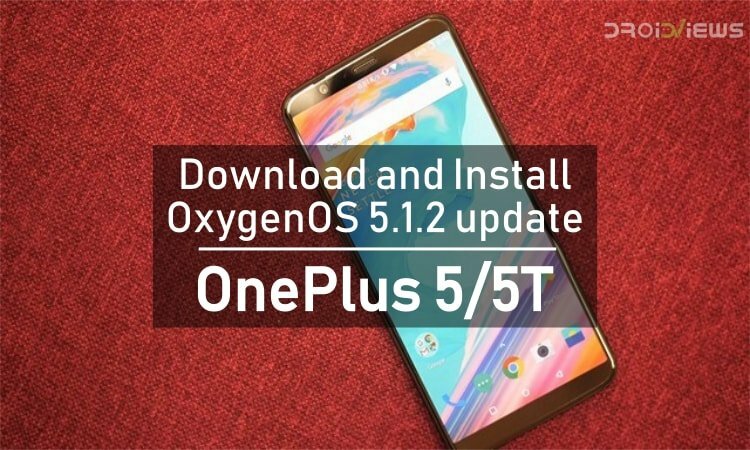 Once you have completed Step 1, proceed to download the OxygenOS 5.1.2 zip file appropriate for your OnePlus 5 or 5T. After that, transfer that zip file to the internal storage of your smartphone. Now, go to your OnePlus 5/5T and open the Settings application. Here, go to the System Updates section. Now, you have to click on the Gear icon seen at the top-right corner of the screen. On clicking, you have to click on the Local Upgrade option. After this, select the OTA zip file and proceed to install the update on your device. On completion of this process, the device will reboot automatically. Once the device reboots to the system, your OnePlus 5/5T will be running OxygenOS 5.1.2. This installation should take very easily on following the steps mentioned above properly. Thus, make sure to read the tutorial properly and ask us if you have any doubts regarding the same.